A priceless religious relic is transported from Mexico to LA under armed guard. As an added precaution, the case which contains the artifact is handcuffed to the wrist of a priest. Even so, the item vanishes before it reaches its destination. It's up to detective Banacek (George Peppard), a specialist in "unsolveable" mysteries, to find out what's happened. Broderick Crawford, Victor Jory, and Louise Sorel guest-star in this 90-minute episode of the TV series Banacek. 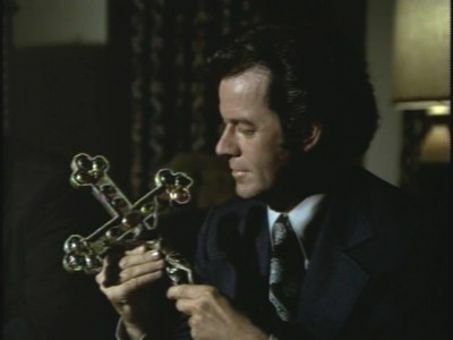 No Sign of the Cross was first telecast October 11, 1972.